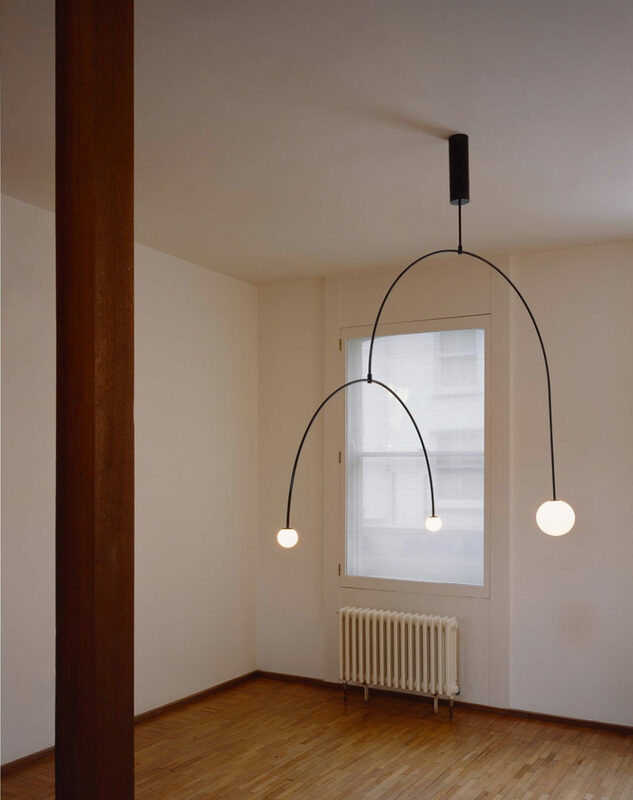 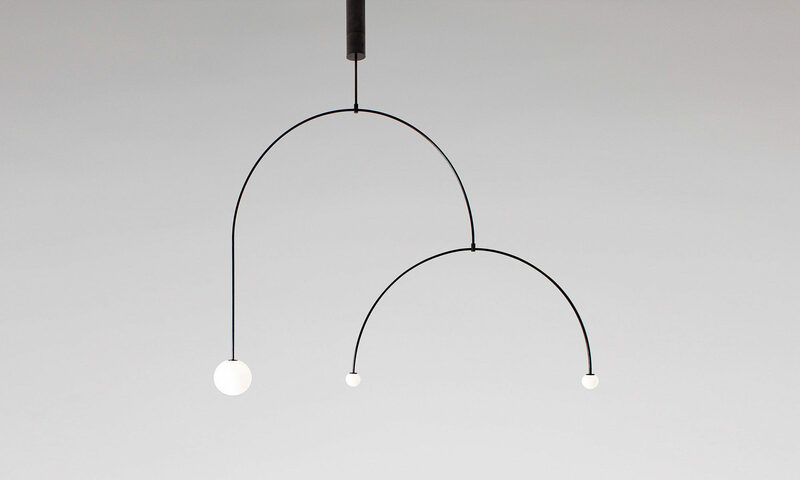 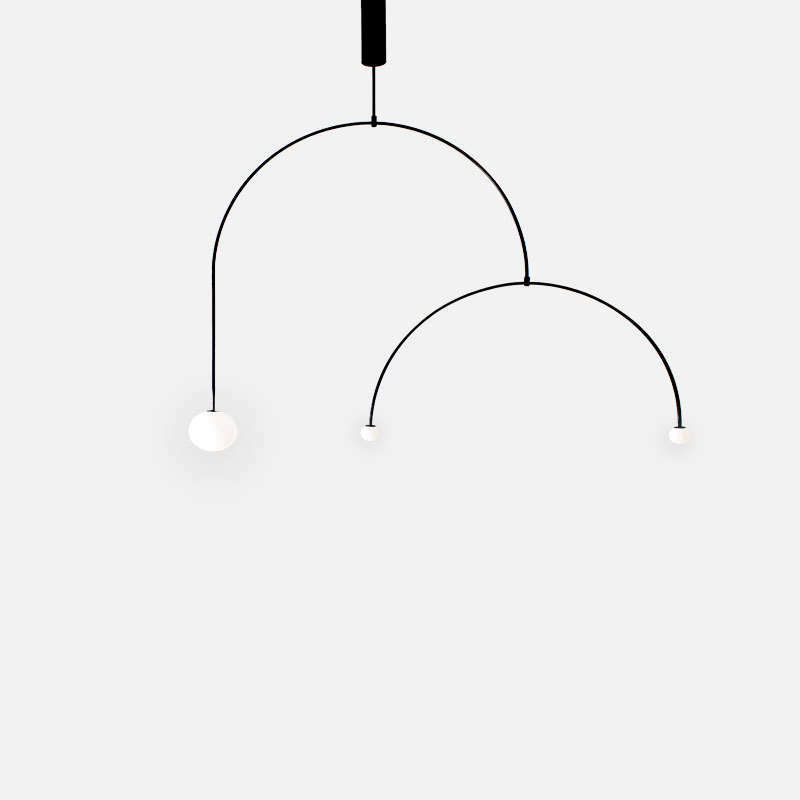 Mobile Chandelier is a minimalist design created by London-based designer Michael Anastassiades. 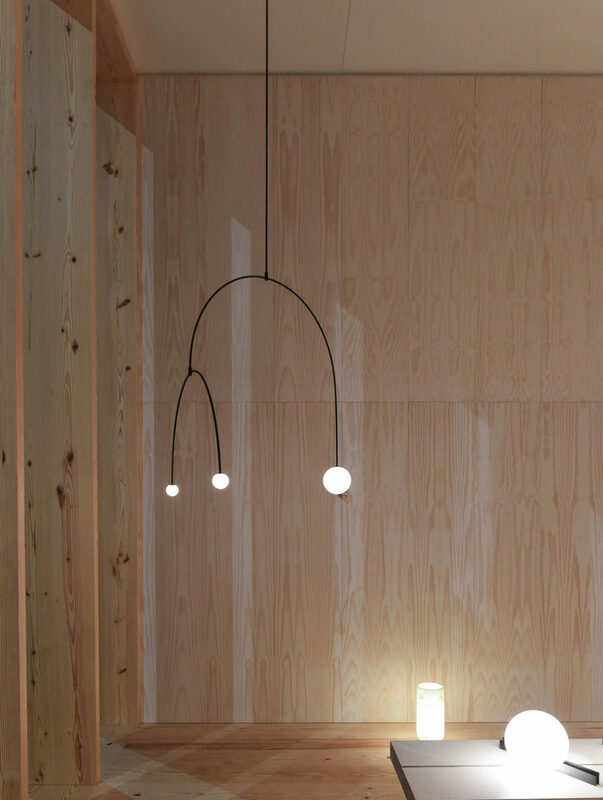 All of the products are handmade and come in natural finishes to the elements without any protective lacquers. 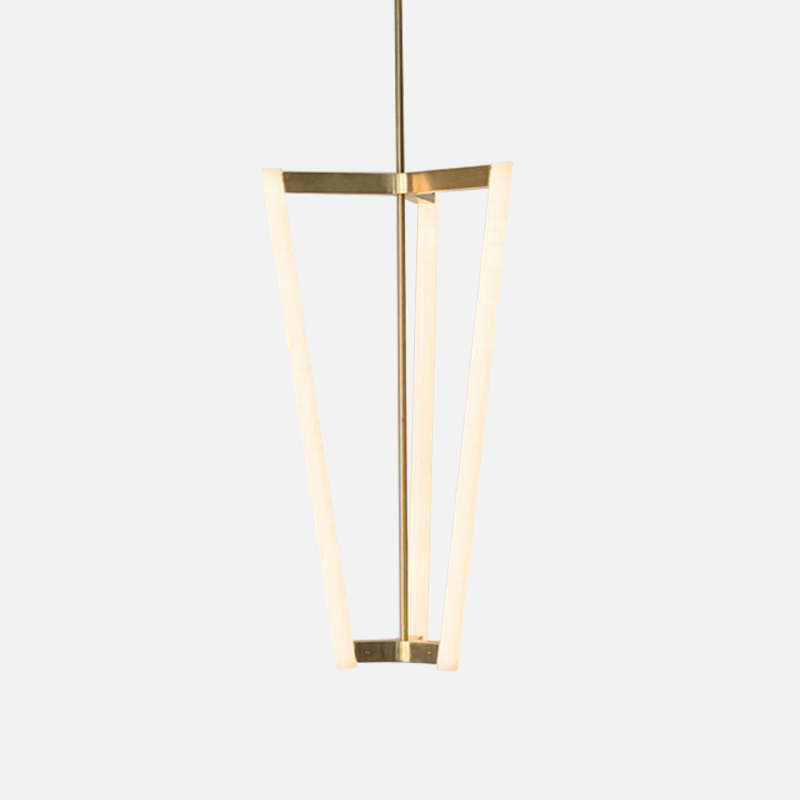 The designers look at oxidisation as part of a process that adds to the patina of an object, increasing beauty with time. 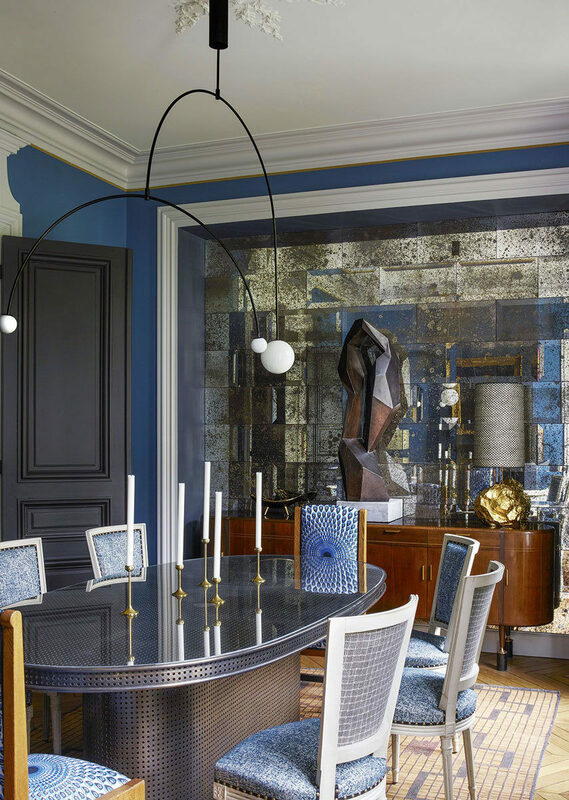 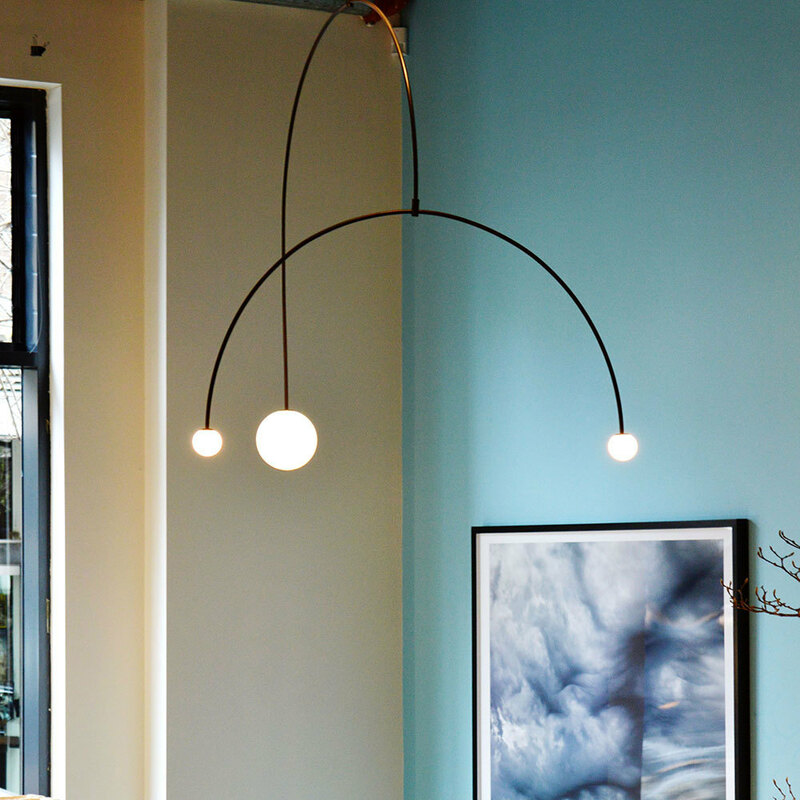 The chandeliers are constructed of black patinated brass with mouth blown opaline spheres. 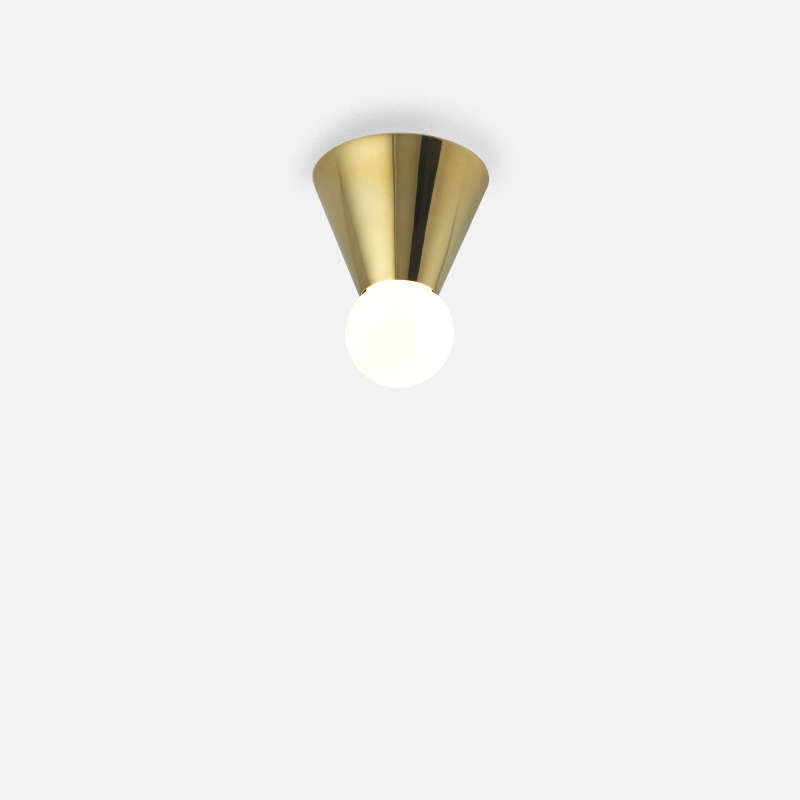 SBR Satin Brass, Mouth Blown Glass. 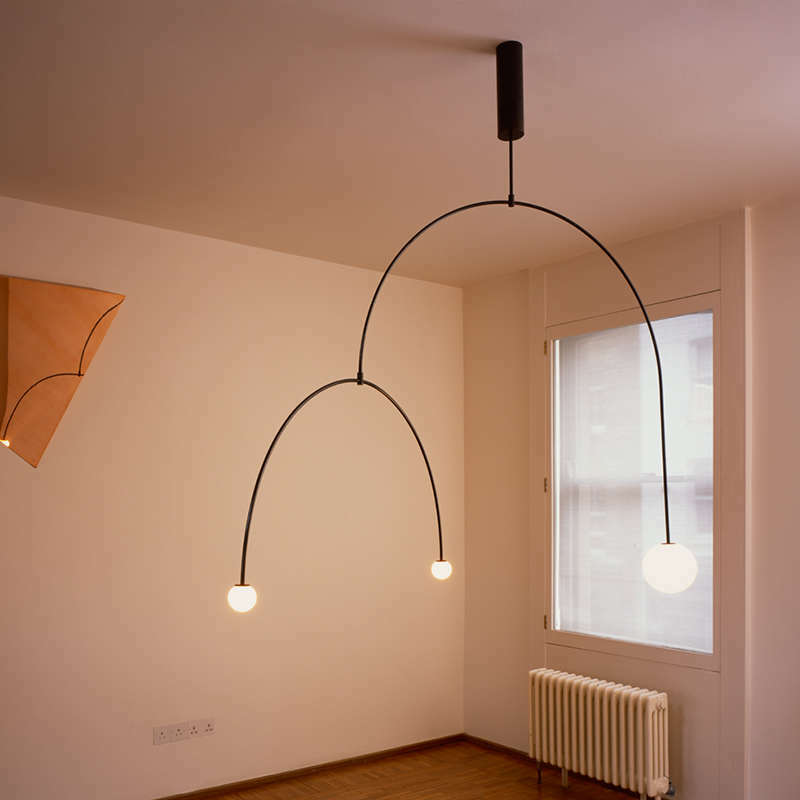 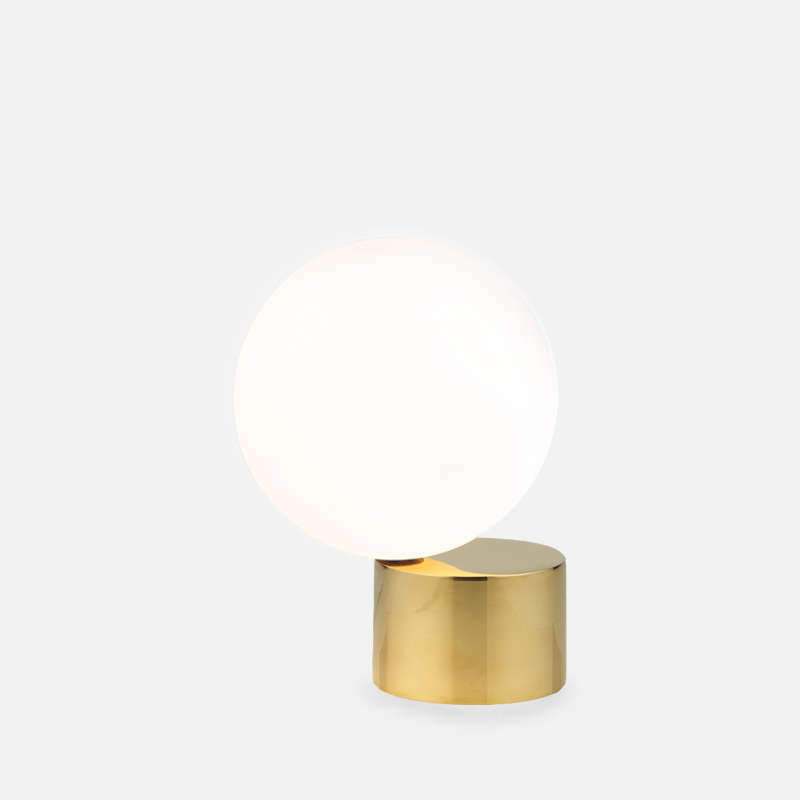 London-based designer Michael Anastassiades is one of the most captivating talents working in any visual field today. 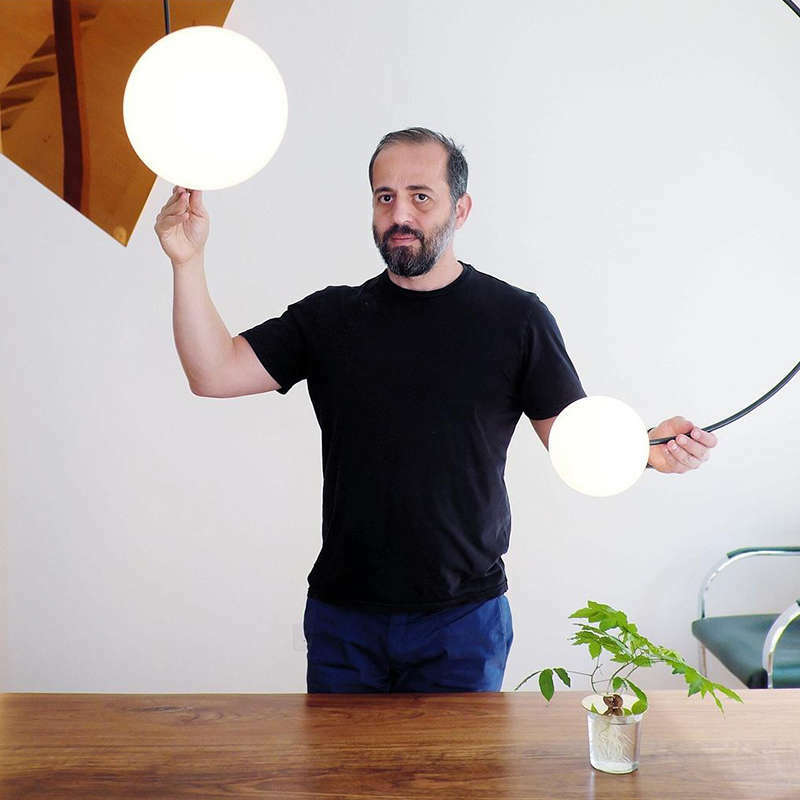 With his firmly held philosophy that great design should ignite cultural and intellectual discussion, Anastassiades work transcends traditional modern furniture, accessory, and environmental design.